Black Sabbath's second album. The instruments all get a good showing, with bass lines visible everywhere. This is nice and dark, bluesy and heavy. Classic doom rock. Sometimes (like in War Pigs) Iommi lets loose on his guitar for a powerful solo. The multi-section song is quite interesting, and an epic for it's time. 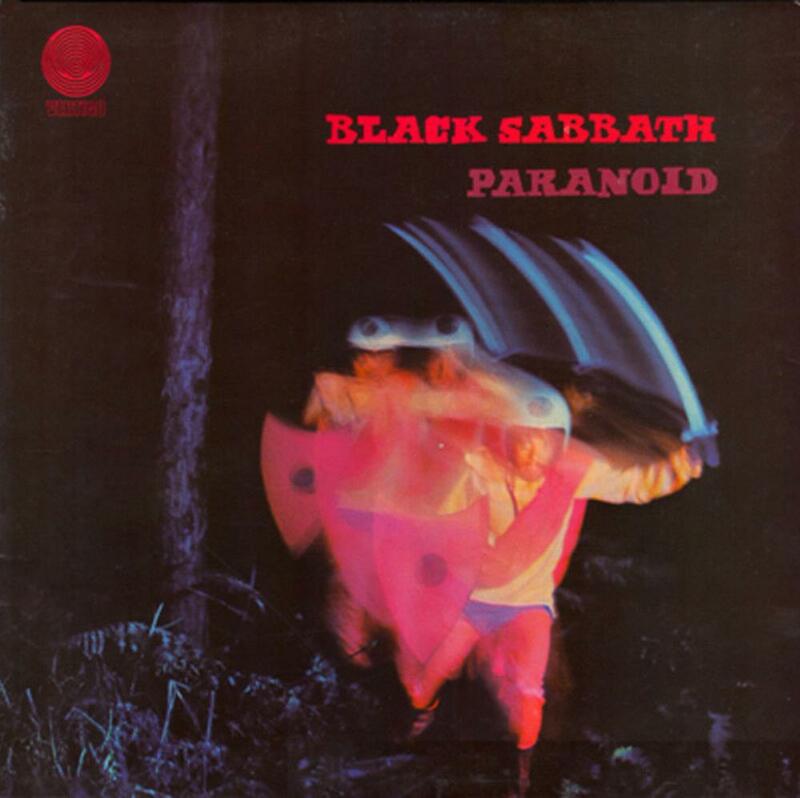 Might I say though, that Paranoid is an absolutely weak throwaway track. Possibly the weakest on the album. It has such a simple riff, that sounds so very plain. The song sounds sort of like a punk rock song. Not that punk is bad, but punk ain't prog. Ozzy was never a brilliant vocalist, but here his vocals don't even match the music. Planet Caravan is atmospheric and mellow. I like how it is placed after the relative speed of Paranoid. It is a rather surprising track, given Black Sabbath's reputation. As a note, though, none of the songs are very complex. They are rather simple, really. The big hit, Iron Man is next. The song everyone is born knowing. Even after hearing it a thousand times, it is still a nice rocking tune. Although I am not too interested in it as a whole. A fan favorite, but not so very complex. The riff is excellent, but who would expect less? Electric Funeral follows. The darkest song here. It is pure doom rock/metal. The slow plodding and demonic riff makes this one of my favorite songs on the album. The dark bluesy guitar wails are very interesting. Lyrically (as with the album as a whole) don't impress too much, but this is a metal band! What self respecting metal band has strong lyrical value? Oh, Iron Maiden, you say? Stuff it! This...is Black Sabbath! Hand of Doom, their drug song. If it didn't have such an epic feel (and that killer solo) I would rate it lower than Paranoid. but no, this song brings a good deal to the table, especially in unconventional song structure. Although the song fails to astound me in a way that is equal to its take on the album time as a whole (second longest song here) I don't feel it is worth the album time it takes. If you are going to devote almost 1/4th of your album to one song, it needs to be absolutely captivating. And I will admit, it has a lot of positive qualities. Powerful metallic guitar, strong (for Ozzy) vocals, and multiple sections. A fine song. Rat Salad is a showoff instrumental. And it is a damn good one. The drum solo is superb, and Iommi tears the guitar up. I will say that the drum solo gets a bit Spinal Tap-esque near the end, but it is interesting. And the guitars roar in right after. Fairies Wear Boots might just be my favorite song, here. Even ignoring the abysmal lyrics, it is a damn rocking song. The playing is fantastic, and it is a biting jam. The opening Jack the Stripper is my favorite single moment on the entire album. then the album kicks it into hard rock heaven. I just wish the lyrics weren't so juvenile. Solo rips, though. In all, this album was highly influential, and for good reason. It is a great album. With some hard rock classics. I prefer the darker and more doom-laden side of Sabbath, but this album delivers. Not very progressive, and some of the moments feel needless (Paranoid) but for any metal/hard rock fan, an absolute essential. Four Stars.